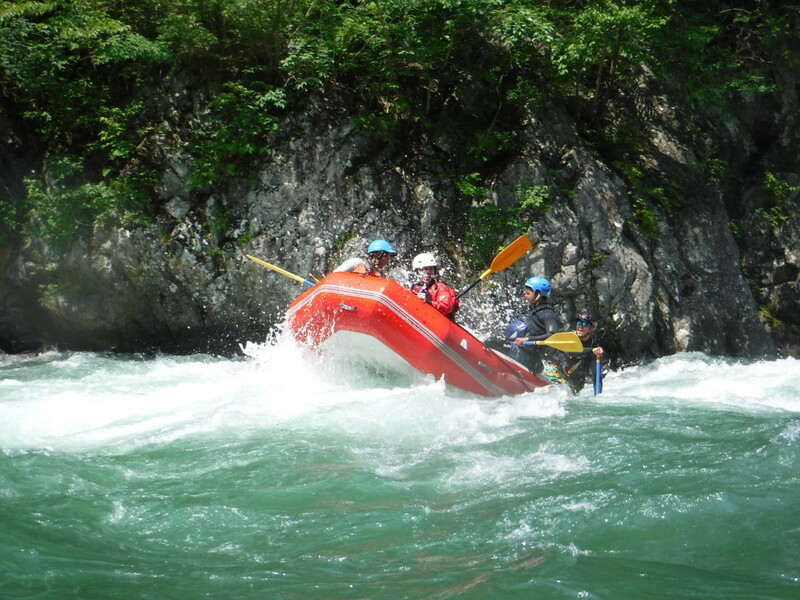 Today rafting with very lovely sunny weather. We stop mizuki koukan where we can play many ways with nice water. We did swimming, boat sliding, jumping, flashing water each other. same time we can see really beautiful green mountain and Tanigawa Dake with snow.